SPS Fire & Security works diligently to provide safe and reliable fire alarm systems to customers throughout the Rochester, Syracuse, and Buffalo area. Our fire alarm systems are a part of your security packaging, giving you more than just home or business security. You also get fire protection that ensures the fire department is immediately contacted so loss is minimized. 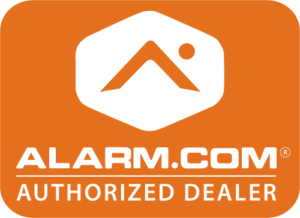 We offer cutting-edge technology in a unique combination, which highlights our ongoing commitment to providing you with around-the-clock protection that protects your home or business and all of your interests. When it comes to your protection, it's a personal matter for us. Fires happen in the Rochester area more than we'd like them to. From homes and businesses to apartment buildings, the damage can be devastating. Not only are personal belongings or merchandise lost, but there are times when lives are lost. Fire alarm systems that are installed by SPS Fire & Security will warn you of a fire and also alert emergency services so the fire department can arrive immediately. You also have the capability of monitoring your system using your smartphone. If something is wrong, you, the 24/7 monitoring facility, and emergency services will be alerted so the fire can be dealt with as quickly and effectively as possible. At SPS Fire and Security, we work hard to provide you with personalized and superior service that gives you the peace of mind that you deserve. Fire detection is important because it could be the difference between losing everything and minimizing losses. To learn more about our fire alarm systems, contact us today to schedule your free, no-obligation consultation by clicking the button below or call 585-770-0348.